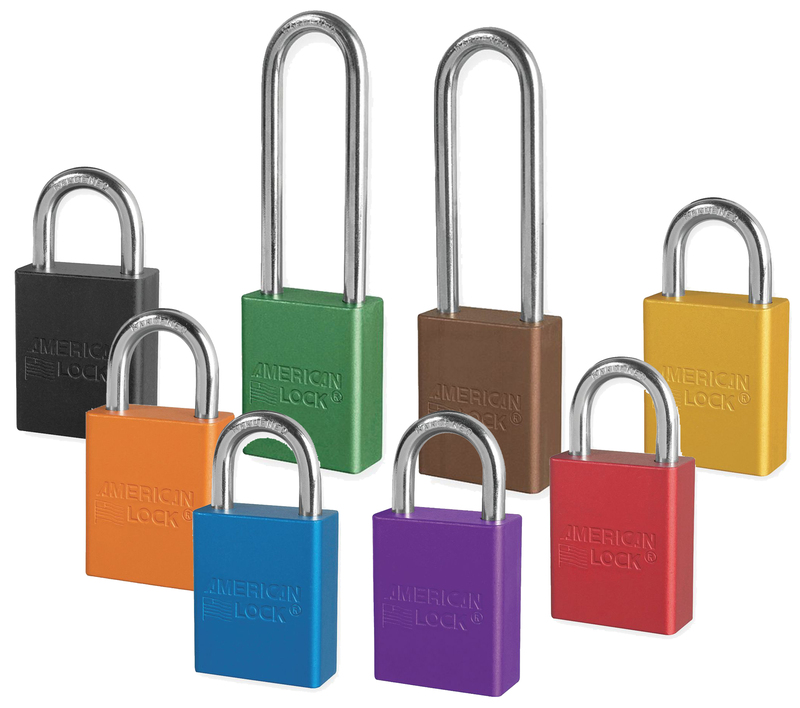 These heavy-duty solid Brass Padlocks come in all the brilliant colors of our shrink-to-fit, durable, plastic Color Coded Padlock Sleeves, factory installed. 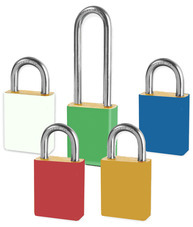 These colorful padlocks are available in red, blue, green, yellow or black. These popular padlocks have a solid brass body, double steel ball locking and pick-resistant pin tumbler security. 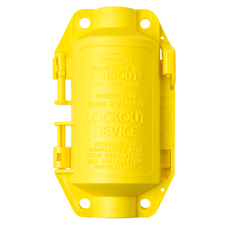 Their rugged construction will withstand harsh industrial environments. 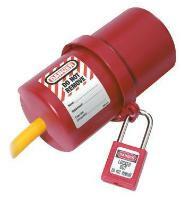 Our Brass Padlocks with Color Coded Padlock Sleeves are available with either 1" or 3" shackle lengths, and may be ordered Keyed Alike, Keyed Differently, or Master Keyed. Idesco Safety is your source for Color Coded Padlocks!